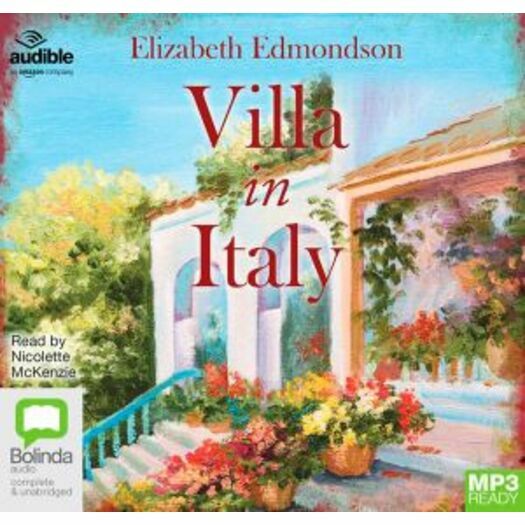 Escapist and completely absorbing, The Villa in Italy is the perfect, mouth-watering summer listen. Four very different people are named in a will. Delia, an opera singer robbed of her voice by illness; George, an idealistic scientist who cannot face what his skills have created; Marjorie, desperately poor and unable to dislodge her writer's block; and Lucius, ostensibly in control but whose personal life is in chaos. All are summoned to the Villa Dante, home of the late Beatrice Malaspina. But who was she? A beautiful evocation of Italy in the aftermath of World War Two, the personal consequences of living through such a time, and a celebration of humankind's ability to heal and learn to love again, this most absorbing novel will win Elizabeth Edmondson a host of new fans. The daughter of a South American mother and English father, Elizabeth Edmondson was born in Chile, and educated in Calcutta and London before going to Oxford University, Elizabeth Edmondson now divides her time between the countryside north of Rome and the spires of Oxford. She is married to an art historian and has two children.